Utilizing Dr. Lloyd�s Glauberman�s revolutionary HPP method, this program gives you the ability to more intuitively respond to the above-mentioned areas of your life. Because your unconscious does the work, there are no journals to keep or tasks to do. Just sit back, put on the headphones and listen to the multiple storytelling format. The changes you experience will be spontaneous and fluid as you seamlessly integrate these new creative patterns into your life. Specifically, you can expect to find yourself more relaxed and connected to that special someone. At any moment in time we have the opportunity to change the trajectory of our life and have the next chapter in our own personal story be better, brighter, and more productive. 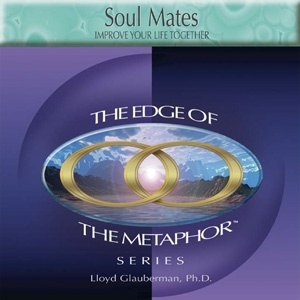 Allow your relationship to develop that �special intimacy� with Soul Mates.